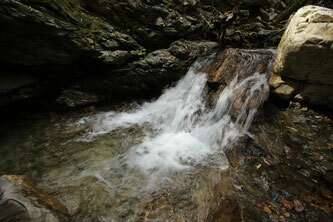 Along this route we will be impressed by the charm and beauty of nature. Sometimes this beauty is mysterious and forests, caves and hills become home to fantastic creatures, sometimes benevolent, sometimes spiteful and vindictive. 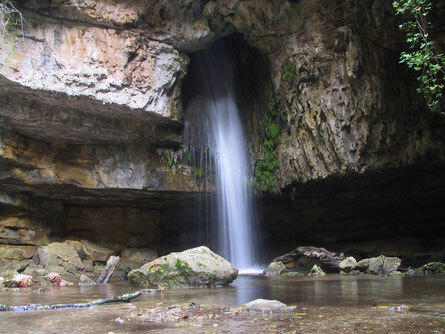 Between the mysterious Margiani Ghiani forest and fascinating karst landscapes, we will go to the rediscovery the different productive activities that were once performed by humans, analyzing developments and points of contact with the tradition and nature. 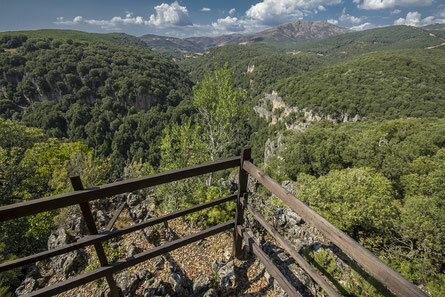 The special feature of this itineray is the "Scala 'and Nigola", a steep passage that allows access to the plateau. Overcoming high vertical rock faces we advance in the absence of marked trails, in a spectacular setting with total immersion in the wilderness, marked by the constant presence of the incumbent dolomite cliffs, the dense forests of oak and of crystalline and fresh streams full of waterfalls. The few human traces passes are barely noticeable among the thick vegetation, which manifests itself in all its charm and its majesty. Difficulty: Medium (crossing steep stony path off).